Sometime this month, Apple will be releasing a gold version of the iPad Air. According to Cheap Phones, this new version is expected to significantly push up iPad Air sales in the last quarter of 2014. This release will coincide with the release of iPad Mini. However, customers will have to wait a little longer for the release of iPad Pro. Its launch is expected in early 2015. 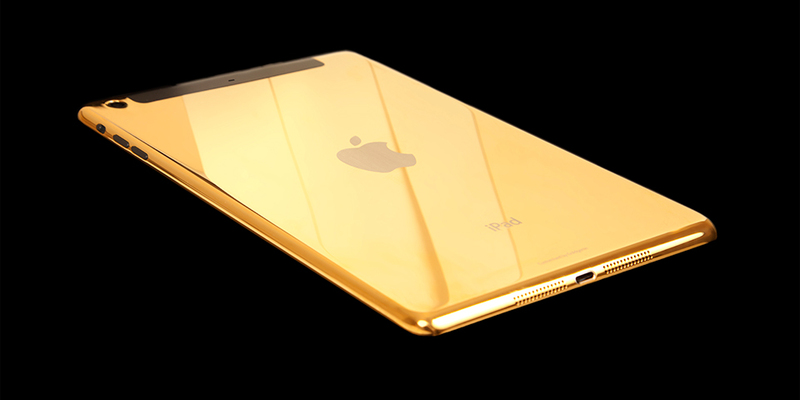 There is rising speculation that the iPad Mini might also feature a gold version. Apple is now making very deliberate options to push iPad sales, including signing iPad sales deals. The new iPads set for release will have a feature enabling its user to make payments by use of Touch ID. Typing credit card information or filling in your shipping information has now been done away with by the introduction of Apple Pay. The first time Touch ID was introduced was in iPhone 5S. The recently-released iPhone 6 has this feature, as well. The upcoming releases are all expected to have the finger sensor for Apple Pay purchases. iPhones will also start enjoying this feature when a software update expected sometime this month is released. Apple hopes to cash in on mobile transactions as it makes it easier to make purchases by a simple tapping of an NFC-enabled iPhone on a payment terminal. Your fingerprint is your way of confirming your identity with the Touch ID feature. Going forward, iPads that will be released are expected to come with an NFC chip that will make these fingerprint sensor payments possible. Analysts say that Apple Pay may be the fulfillment of a promise for secure mobile payments that consumers have been craving for some time. While there are no radical changes in design expected in iPad Air or iPad Mini, the new A8 chip has got people pretty excited by the prospects of what the new iPad Mini and iPad Air will be capable of. The display resolution will be significantly enhanced. The RAM will be boosted to a cool 2GB and there is a possibility that the storage options would go as high as 256GB. Details are still quite scanty about iPad Pro that Apple is set to release in 2015. However, it has already been established that iPad Pro will have a 12.9 inches display. Those who use iPad for educational and business purposes are the most excited by the prospects of using iPad Pro with its large screen. It is expected that the large screen will run a tweaked iOS version that would allow for split-screen as you might have seen on Windows 8. Apple is rumoured to be developing a detachable keyboard that will also increase iPad Pro’s appeal. There is a growing feeling that iPad Pro might serve to replace MacBook Air as specs are made to have a comparable footprint. No significant gap is expected when Apple ditches MacBook Air because the company will also introduce MacBook Air with a 12-inch Retina screen. Though not everything that Apple is preparing to is known at this point, there are very clear indications that Apple is making efforts to consolidate sales by allowing users to do more with its devices.